This is it - the final stretch of George Clinton's farewell trek. 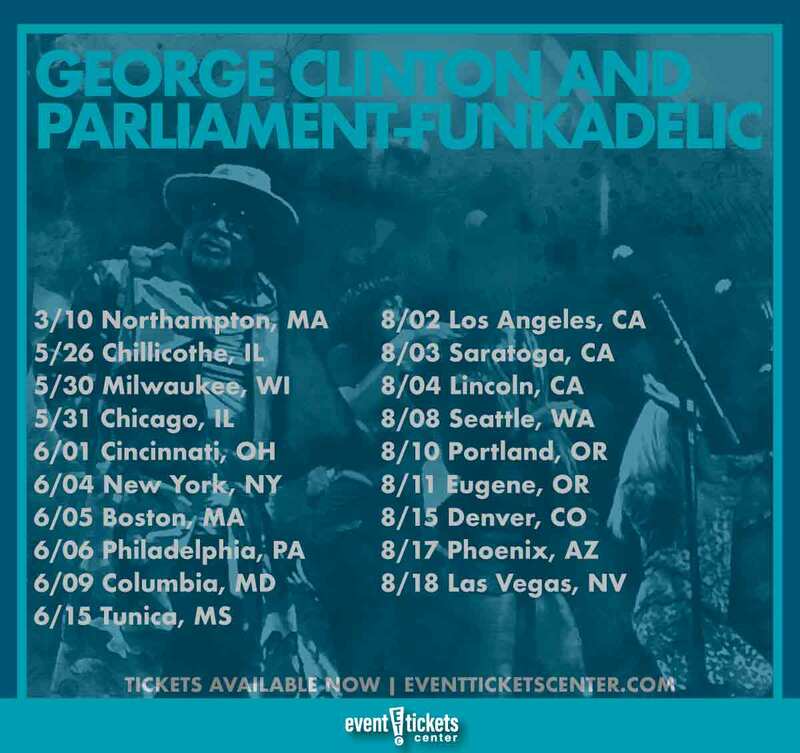 The funk legend revealed the concluding tour dates of his “One Nation Under Groove Tour,” which is set to bring Clinton and his long-running collective Parliament-Funkadelic around the globe before coming to a close in the U.S. this summer. The U.S. leg kicks off May 26 in Chillicothe, IL before setting out to hit cities like New York, Philadelphia, Los Angeles, and Portland. A final show at the Brooklyn Bowl in Las Vegas will wrap things up on August 18. Clinton will also be making an appearance in Honolulu, Hawaii in the spring for a four-day stint at the Blue Note Hawaii. As if his calendar wasn’t already jam-packed, Clinton will also be making a stop at the Grammys this coming May where he will receive a Lifetime Achievement Award at a special ceremony. Funk and soul legend George Clinton, the mastermind behind the Parliament-Funkadelic collective group of rotating musicians, has revealed he will be retiring from touring in May 2019. This gives fans one more year to experience Clinton’s talent with P-Funk’s 2018 tour, where he is set to lead every show. “This has been coming a long time. Anyone who has been to the shows over the past couple of years has noticed that I’ve been out front less and less,” Clinton said in a statement. The tour will see Clinton and the P-Funk group hit over 50 cities across the globe, including a North American leg. Fans can expect new songs and popular classics that span the length of the group’s career. The 76-year-old musician recently underwent pacemaker surgery but states that it did not influence his decision to take his final bow. Clinton revealed in an interview early this year that he made a hologram with the whole band so that his legacy can continue even after he retires or passes, emphasizing that he wanted to give something to his family. Who Are George Clinton and Parliament-Funkadelic? George Clinton formed the doo wop group the Parliaments in the late 1950s in Plainfield, New Jersey when he was just a teenager working at a barber salon. Under the influence of late-1960s artists such as Jimi Hendrix, Sly Stone, and Frank Zappa, Clinton later relocated to Detroit and began the sister groups Parliament and Funkadelic, with the former playing an eclectic and more commercial form of funk, and the latter incorporating psychedelic rock. The name "Parliament-Funkadelic" encompassed the dozens of related musicians recording and touring different projects with Clinton. By the early 1980s, Clinton and other members had begun solo careers, with Clinton also consolidating the collective's multiple projects and touring under names such as "George Clinton and the P-Funk All-Stars." Clinton drew on psychedelic culture, outlandish ideas, science-fiction, and bizarre humor to create the distinct funk sound that would have a great influence on the post-funk, hip hop, post-disco artists of the 1980s and 90s. Clinton's songs with Parliament-Funkadelic were often sampled by rap producers. Overall, the collective achieved 13 top ten hits in the American R&B music charts between 1967 and 1983, including six number one hits. 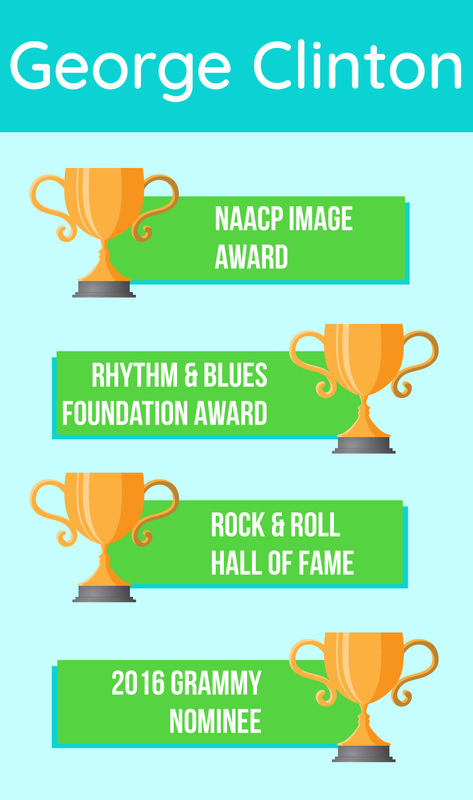 In 1997, Clinton and 15 other members of Parliament-Funkadelic were inducted into the Rock and Roll Hall of Fame, the largest band yet inducted. As for Clinton’s solo career, he began in 1982 with the release of Computer Games, which yielded singles “Loopzilla” and “Atomic Dog.” Clinton recorded several nominal solo albums, although all of these records featured contributions from P-Funk's core musicians. 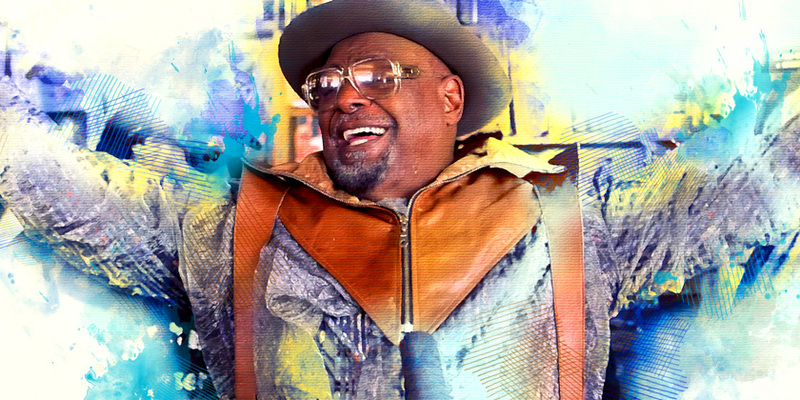 See George Clinton one last time in a city near you!